Anne Klausen busies herself with a promising ballet career in San Francisco. All seems on schedule until the bombing of Pearl Harbor by the Japanese Imperial Navy on December 7th, 1941. 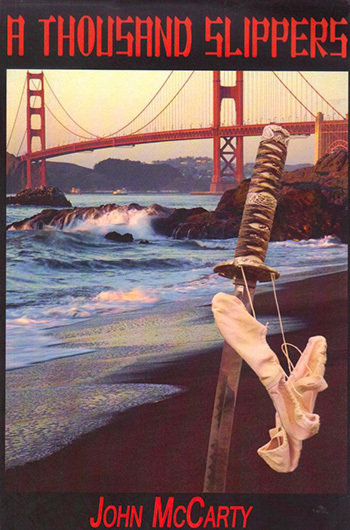 Anne’s widower father, Elmer Klausen, and his vigilante pals go on a rampage through Japantown in search of the Black Dragons who are responsible for the killing of two of their comrades. Or so everyone believes. Fear of an impending invasion along the western seaboard is heightened when Nobuo Akita, an aviator aboard an enemy submarine aircraft carrier, becomes the instrument for the first aerial bombardment of North America. However, he soon learns of the accidental death of a five-year-old during his raid near Brookings, Oregon. This mishap haunts him. In a future mission, he cannot bring himself to destroy the U.S.S. Lexington, which is moored in San Francisco Bay, and he flees into the back alleys of the city. Fate introduces him to Anne who is forced into an uneasy alliance with the foreigner in order to save her father from his own kind. “Armed with a sharp wit, the author weaves iconic characters through a historic maze with such ease and color that we simply shake our heads in a whaddya-know kind of wonderment.